Does Chapter 723 apply to my park? A park is governed by Chapter 723 when 10 or more mobile home lots are offered for rent or lease for residential tenancy within the park. It is important for homeowners to know when their park is governed by Chapter 723 because that Chapter regulates important issues, including evictions and rental increases. The home owner’s right to the 90-day notice may not be waived or precluded by a home owner, or the homeowners’ committee, in an agreement with the park owner. Can the Park owner increase the lot rent? Yes, but there are many different factors that should be considered prior to accepting or challenging a rental increase. Park owners can raise the lot rent, but an increase can be challenged if the increase is higher than comparable mobile home parks in the area. However, there are other factors that should be considered when determining whether your lot rent is unreasonable, including the consumer price index, operating costs or taxes, and prior disclosures. Furthermore, the park owner must follow the procedures outlined in Chapter 723, which includes providing the affected homeowners with a 90 day notice of any proposed increase. Can the park owner charge the mobile home owners for real estate taxes or utility charges? Yes. However, there are certain requirements that must be met. There are three types of charges that a homeowner would typically see. These include pass-through or pass-on charges and user fees. Below you will find a brief summary of each type and their requirements. PASS-THROUGH charges are governmentally mandated capital improvements and include hookup fees. Fla. Stat. 723.031. There is no need to disclose prior to charging (723.031(6)), but it must be stated in the prospectus the manner in which pass-through charges will be assessed (723.012(9)(c)). PASS-ON charges are ad valorem property taxes and utility charges. Park owner can’t pass on late fees, fines or interest due to late payment of the charge. USER FEES are those amounts charged in addition to the lot rental amount for nonessential optional services provided by or through the park owner to the mobile home owner under a separate written agreement between the mobile home owner and the person furnishing the optional service or services. Fla. Stat. 723.003(21). If a user fee for services previously provided by the park owner was previously included in the lot rent, the user fee can’t be charged, unless there is a corresponding decrease in the lot rent. Fla. Stat. 723.031(3). Does a Mobile Home Park need a Homeowner’s Association? Yes. 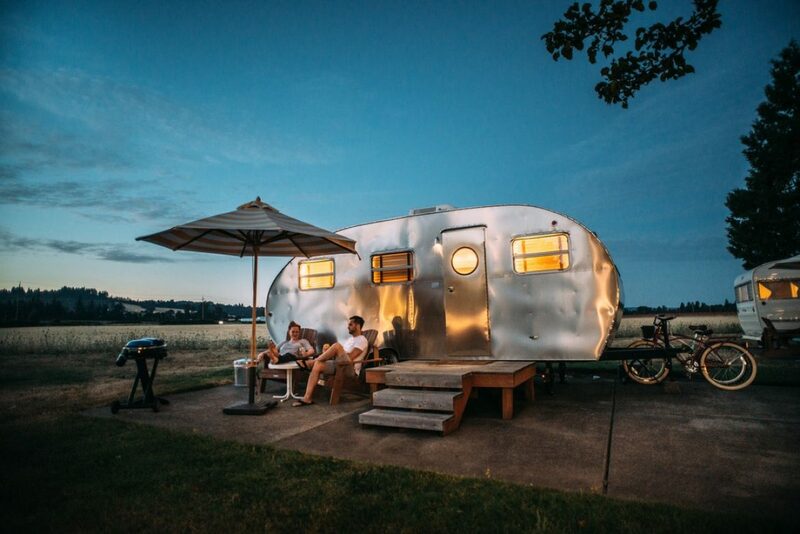 Residents of a mobile home park should form a Homeowner’s Association, so they can negotiate issues with the park owner (including rental increases, reductions in service and other park issues), and also exercise the HOA’s right of first refusal. Can I challenge a rental increase, reduction in services, rule change or pass-through/pass-on charge? The park owner must provide a 90 day written notice prior to a rental increase to affected mobile home owners and the HOA board members. No later than 60 days before the effective date of the change, the park owner shall meet with a committee, not to exceed 5 in number, designated by the HOA, or by a majority of the affected mobile home owners. The negotiating committee shall make a written request for a meeting with the park owner or subdivision developer to discuss those matters addressed in the 90-day notice, and may include in the request a listing of any other issue, with supporting documentation, that the committee intends to raise and discuss at the meeting. Note: It is important to have documentation showing that a majority of the affected mobile home owners approved the negotiation committee. The park owner will likely want to see proof of the committee’s approval before discussing anything with the HOA. Remember, each affected mobile home is only entitled to one vote. If the committee disagrees with the park owner’s comparables, within 15 days of the meeting, the homeowners must disclose in writing their comparables, along with a request for another meeting. Within 30 days of the park owner’s receipt of the written comparables, the park owner must meet with the committee. Within 30 days of the last scheduled meeting, the homeowners must petition the DBPR to mediate the dispute (requires a majority of affected homeowners to agree in writing that the HOA’s negotiation committee represents their interests in mediation). Note: Prior to the first meeting with the park owner it may be a good idea to go ahead and get all your documentation and signatures from the affected homeowners approving mediation to ensure that you are not in a time crunch if the park owner refuses to meet with the homeowners, or is unwilling to reduce the rent. Within 20 days of receipt of the petition, the DBPR notifies the parties that they have appointed a mediator and each party must pay $250.00 for the mediator; cost per hour depends on the county where the park is located (61B-32.0056(8)). If mediation is successful, it is important to get the agreement in writing, signed by both parties. If mediation fails, the HOA must get a majority of the affected homeowners to agree, in writing, to the HOA representing them in any civil litigation. Note: Remember, each affected mobile home is only entitled to one vote. File civil suit. The HOA must participate in the mediation before filing suit. What is a right of first refusal and why is it important? Note: The HOA should form a purchasing committee to prepare for the day that the park may be put up for sale. Who should we contact to learn how to purchase our park? Davis Basta Law Firm, P.A. can assist you with all the steps involved in purchasing your park. Can my park owner rent lots to individuals who are under 55, in a 55 plus mobile home park? Yes, but there are many requirements that must be followed by the park owner. A 55 plus mobile home park is intended and operated for persons 55 years of age or older. However, there are some instances where the park owner can rent to individuals under 55. The rule the park owner must comply with is the 80/20 rule. The 80/20 rule essentially states that at least 80 percent or more of the occupied mobile homes must be occupied by at least one individual who is 55 years of age or older. For example, in a husband and wife situation, if the husband is 55, but his wife is 50, then the mobile home would be considered part of the 80 percent of mobile homes that is 55 plus. The mobile home park must also publish and adhere to policies and procedures demonstrating that they have the intent to be a 55 plus park, and also comply with any rules required for verification of occupancy requirements. It is important to read and be familiar with your prospectus, regardless of whether you are an owner or a resident. The prospectus is a document that is given to the mobile home owner from the park owner, prior to becoming a resident of the park. It is basically a disclosure document covering issues such as a homeowner’s legal rights, the financial obligations of the homeowner, and a description of the amenities and common areas of the park.These disclosures are important to both a park owner and a mobile home owner, as it is essentially the contract which will dictate the relationship between the park owner and the mobile home owner. What is a change in use? Can I be evicted and for what reasons? Conviction of a violation of a federal or state law or local ordinance, which violation may be deemed detrimental to the health, safety, or welfare of other residents of the mobile home park. Violation of a park rule or regulation, the rental agreement, or Chapter 723. Failure of the purchaser, prospective tenant, or occupant of a mobile home situated in the mobile home park to be qualified as, and to obtain approval to become, a tenant or occupant of the home, if such approval is required by a properly promulgated rule. Depending on the basis of eviction used by the park owner, a homeowner may still be able to defend or avoid the eviction. Fla. Stat. §§ 723.061 & 723.063. When can I file a complaint with the DBPR? Failure of the park owner to provide the required 90 day notice for rental increases, reduction in services/utilities, or a change in rules. Failure of the park owner to meet with the homeowners at the required meeting for a challenge to a rental increase, reduction in services/utilities, or a change in rules. Failure of the park owner to provide a prospectus. Failure of the park owner to make certain disclosures in the prospectus. Failure of the park owner to comply with certain terms of the prospectus/rental agreement. Failure of the park owner to enforce rules and regulations of the park. Determinations as to whether a rental increase is reasonable. The DBPR provides more details about their enforcement authority. Note: In situations where the DBPR is unable or unwilling to assist, the home owner may be required to attend a mediation prior to filing a lawsuit. What can I do if the park owner is not following the prospectus? However, you may want to consider mediation. Note: In situations where the DBPR is unable or unwilling to assist, the homeowner may be required to attend a mediation prior to filing a lawsuit. If a person deeds the mobile home to the park owner and a new person moves in, can the park owner give a new prospectus? This answer is not in Ch. 723. However, DBPR’s Rule 61B-31.001(4) states that the prospectus “shall be binding for the length of the tenancy, including any assumptions of that tenancy, and may not be changed except in [certain] circumstances…”So, what is the length of a tenancy? The DBPR takes the position that the tenancy doesn’t end at the end of the rental agreement, but lasts until the tenant vacates the premises or is evicted. Therefore, the same prospectus controls the tenancy even if the home is sold or resold, as long as the same tenant has not been evicted or left the premises. *The DBPR is an excellent resource for questions and answers relating to Chapter 723.